The Lonsdale X-Lite focus pads have a lightweight construction to provide excellent manoeuvrability and offer the M-Core moisture control system with 3D mesh on the inner palm. They are designed to withstand the punishment of intense training sessions and incorporate the L-Core layered foam inner padding to ensure optimum protection. The pads feature pro concave X-Lite shaped padded zones on a striking surface and a wide angled anatomical strap with a hook and loop wrist closure for a secure fit. 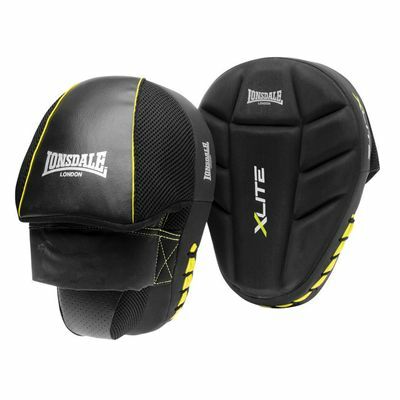 for submitting product review about Lonsdale X-Lite Focus Pads.